Mass Email is available when you need to send unsolicited email to more than 250 internal or external email addresses. Mass e-mails communicate important academic, college and student business to students, faculty and staff. 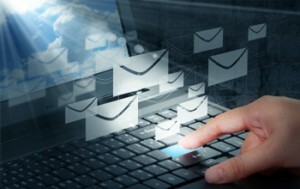 Use Mass Email if your message must go to more than 250 email addresses. All mass email requests are reviewed and approved by Administrative Services. Once approved, the request is forwarded to the Division of IT for distribution. If you need to include a survey, remember you need approval from the Campus Institutional Review Board (see below). Emergency or crisis situations like closings and delays due to hazardous weather conditions or power outages. Critical or time-sensitive situations affecting the campus as a whole. Sudden changes in traffic, campus vehicular access or parking due to emergencies. Please review the university's mass email policy before requesting a mass email. The Campus Institutional Review Board (IRB) approves all surveys before they can be approved for mass email distribution. Include the Campus IRB approval number in the Comments/Special Instructions section of the request form. There is a $100 fee per mass email. Read the university's mass email policy before requesting a mass email. If your email needs to include a survey, contact the Campus Institutional Review Board (IRB) for approval. Go to doitservices.missouri.edu to request a Mass Email. Login to the self-service portal with your University user id and password, select Service Catalog, and search for Mass Email. Include your IRB approval number if your email includes a survey. Administrative Services reviews the mass email based on the criteria outlined in the university's mass email policy. Administrative Services forwards approved email text to the Division of IT for distribution.